Tickets are now on sale for THE paranormal event of the year! This is our 23rd year of bringing you the finest speakers, guests, and events in the paranormal community. Founded in 1997, we set the stage for every ghost event that has followed. This is NOT some sort of "meet and greet" with "celebrities" who sit at tables so you can pay for autographs -- this is a speaker-based event with presentations, discussions, question and answer sessions, hands-on workshops, ghost hunts, tours, and much more! Tickets are already going fast, so don't miss out! Ghosts, hauntings, and the most fun you'll have at a ghost event in 2018! Follow the link to get signed up and we'll see YOU in June 2018! CLICK HERE TO GET MORE INFO AND RESERVATIONS FOR 2019! Magic, Murder, Mayhem and the Diabolical Notes of the Devil’s Music! NEW AMERICAN HAUNTINGS SHIRT STORE! Get all of the latest designs in shirts, sweatshirts, hoodies, and more! CLICK HERE TO SEE THE SELECTION! SPECIAL EVENT: AN EVENING WITH THE DEAD: Join author Troy Taylor on May 24, 2019, for dinner at the Mineral Springs Hotel, followed by an eerie presentation on American death and funeral customs! From the Puritans to the aftermath of the Civil War and the Victorian Celebration of Death, we delve into the rituals and customs of funerals, postmortem photographs, premature burial, mourning traditions, Spiritualism, and much more! You don’t want to miss this special event! CLICK HERE FOR RESERVATIONS! SPECIAL EVENT: AN EVENING WITH THE “BLACK DAHLIA”: Join Troy Taylor on July 13, 2019 for dinner at the Mineral Springs Hotel, followed by “Fallen Angel,” the the true story of Elizabeth Short, the infamous “Black Dahlia,” which offers an in-depth look at her murder, which has become one of the most famous unsolved crimes in American history! Don’t miss out on his special event! CLICK HERE FOR RESERVATIONS! SPECIAL EVENT: AN EVENING WITH LIZZIE BORDEN! Join Troy and Lisa from American Hauntings on August 3, 2019, at the haunted Mineral Springs Hotel for a catered dinner and author Troy Taylor’s presentation of “One August Morning,” the true story of the Borden murders in Massachusetts and offering an in-depth look at the events that have since become one of the most famous crimes in American history. You don’t want to miss this special dinner and presentation event! CLICK HERE FOR RESERVATIONS! SPECIAL EVENT: AN EVENING WITH THE AXMAN! Join Troy Taylor on August 10, 2019 for a special event at the Mineral Springs Hotel for a dinner and spooky presentation of “Murdered in their Beds,” a trip back in time that explores the unsolved Midwest Ax Murders of the early 1900s, with a special look at the history and hauntings of the Villisca, Iowa, murders of 1912. You don’t want to miss it! CLICK HERE FOR RESERVATIONS! Ghosts, Gangsters, Mystery & Mayhem of the Windy City! Includes Haunted History Tours, True Crime Tours, Gangster Tours, and Chicago's Original "Devil & the White City Tours of H.H. 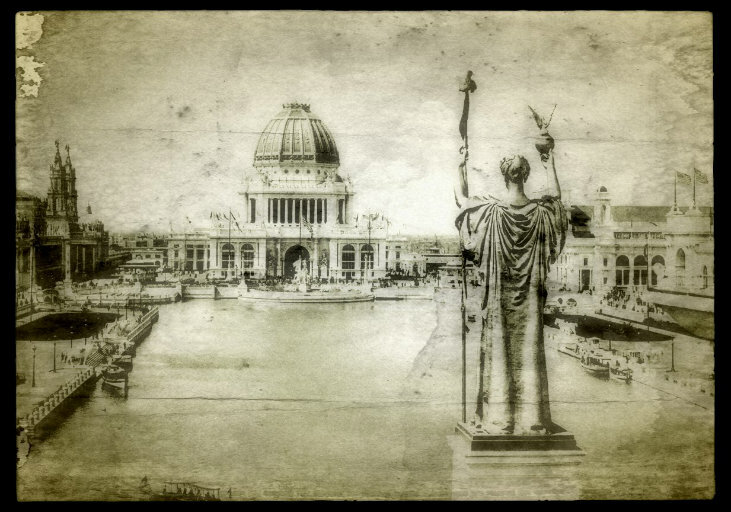 Holmes and the 1893 World's Columbian Exposition! Chicago's Best Tours! CLICK HERE FOR INFO! Public & Private Tours Available Year Round! Discover the ghosts of "One of the Most Haunted Small Towns in America!" The region's most authentic ghost tour and the only tour based on the book by Troy Taylor! Haunted History Tours, Bus Tours, and Dinner and Spirits Experiences along the River Road! CLICK HERE FOR INFO! Public Tours Available Year Round! First launched in 2006 as the first ghost tour in the city, the Springfield Hauntings Tours have been relaunched and reimagined to present the haunted history of Lincoln’s hometown! Discover the eerie folklore, ghostly tales, and documented haunted places — along with a dark history of death, politics, and other dark deeds from the history of the city! Discover the Spirits, Secrets, Scandals and Sins of on one of the longest-running ghost tours in the state! Created by author Troy Taylor, Haunted Decatur was founded in 1994 and every fall, we explore the most chilling locations in the city! Search for the spirits of this Route 66 community and the haunted "Million Dollar Courthouse!" Every autumn, we explore the many haunted places of downtown Carlinville with Haunted History Tours and Ghost Hunter's Tours! Every tour includes the eerie Macoupin County Courthouse -- a place so haunted that one of our guides quit rather than go back inside! Are you brave enough? CLICK HERE TO FIND OUT! Available in October! Ghost Hunts. No Hype. No Distractions. Author Troy Taylor and the staff from American Hauntings have been taking guests behind the walls of haunted locations since 1994 with one simple approach — ghost hunts without all of the clutter. Our investigations are not overcrowded meet-and-greets with so-called celebrities but an authentic opportunity to let our guests experience the unexplained. If you’re interested in a real ghost hunt without all the distractions, then these are the events for you. CLICK HERE FOR MORE! Read Many More Stories of Haunted History in Books from American Hauntings Ink - Independent Publisher of Books on Ghosts, Haunted History, Crime and the Unexplained in America! CLICK HERE TO SEE OUR CATALOG OF TITLES AND UPCOMING EVENTS! Discover the most haunted places in America, from abandoned prisons and sanitariums to houses where the spirits of the dead still linger! Are you brave enough to see them for yourself! Hauntings across the country that don't make the famous "most haunted" lists, but are just as scary! THE MYRTLES PLANTATION: LEGENDS, LORE AND LIES - How historical research revealed the true story of "one of the most haunted houses in America." AMERICA'S MOST HAUNTED PRISONS & JAILS! Do you have the nerve to go behind the bars of these haunted spots? From America's first penitentiary to the most escape-proof prison in our history, these are not places for the faint of heart! 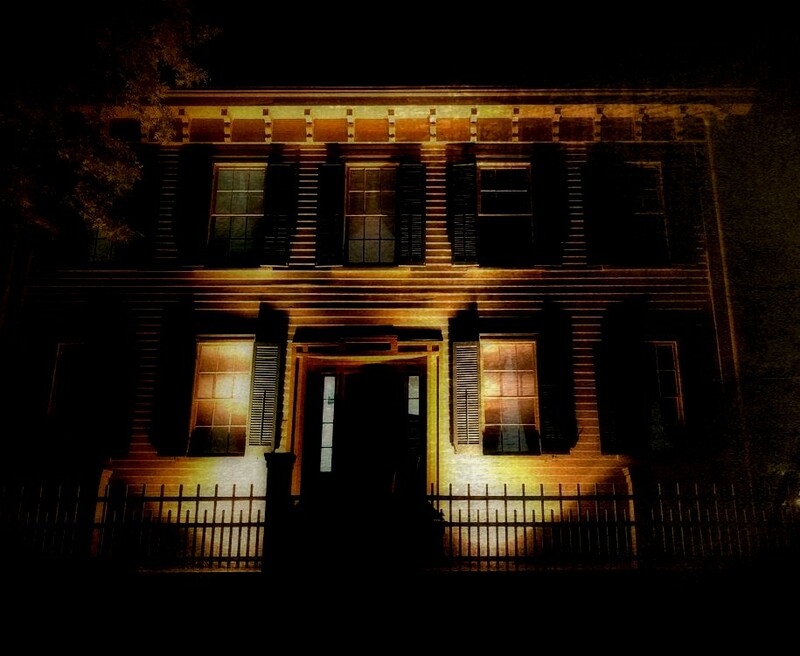 History and Hoax behind the Congelier Mansion, the original "Most Haunted House in America!" The story of Sarah Winchester and the "House Built by Spirits"
Tragedy, Terror and a Lingering haunting from the Hartford Circus Fire of 1944! The History, Hauntings and Horror of America's Deadliest Factory Fire! Did strange forces affect the filming of one of the most terrifying films of all time? The Strange Tale of Chicago's "Italian Bride"
The Haunted Life of the "Original Ghost Hunter"
The Mystery, History & Hauntings of the Millstadt, Illinois Ax Murders! One of America's Most Haunted Places!